I’m currently at the University of Dayton’s Social Practice of Human Rights conference and just enjoyed a roundtable discussion titled “Teaching Human Rights Inside and Outside the Classroom: Education Without Borders.” The approaches and panelists were diverse, including people teaching in prisons and conducting oral histories. I thought I’d (quickly) share a few insights related to teaching human rights in undergraduate political science courses. A common theme was how to engage students in practice and the community, globally and locally. One example of this is using problem-based learning to get students excited about the material. To make problem-based learning real, William Simmons of the University of Arizona brings community members into the classroom to collaborate with the students in solving real problems in the community. Among many other innovative practices, he had students help submit legal briefs for a case being heard by the Inter-American Commission for Human Rights. He says that he asks himself, “how can I de-center knowledge?” In these and other ways, he is using experiential learning to get students engaged. Another panelist, Carol Grey of the University of Connecticut similarly mentioned breaking down the hierarchy of the classroom by giving students the role of teachers. Using current events and cases to engage students in discussions of social justice and human rights issue was another recurring theme in the roundtable’s discussion. Alice Kim, editor of the Praxis Center, discussed creating curriculum around current events, such as a high school curriculum on the Chicago police torture case that was developed as part of the reparations ordinance and teaching about the Troy Davis execution. Carol Gray also discussed the value of using cases and, in particular, primary sources and documentaries so that students hear about experiences in the voice of the people involved. William Simmons brings in speakers who can share their experiences. In all, panelists discussed a diverse set of ways to bring in current events as ways to engage students and provide a starting point for critical discussions. Lisa Brock, academic director of the Arcus Center for Social Justice Leadership at Kalamazoo College had the quote of the day, though, when she quoted her grandmother saying: “What good is a doctor if it can’t help heal people?” As academics, how can we also be activists? 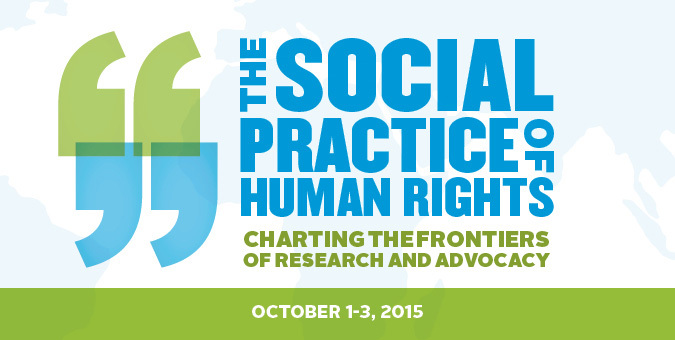 What can we do to train the next generation of human rights or social justice activists?